World's First Pure Milk Vodka Sounds Intriguing | OhGizmo! We absolutely judge people based on the drink they hold in their hands; let’s face it, everyone does. But we’re entirely at a loss on what to think of someone holding a drink made from milk. 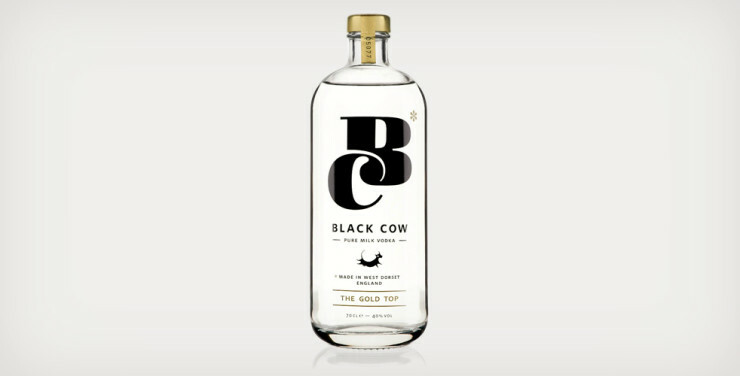 Black Cow Pure Milk Vodka forgoes the grains that typically serve as a vodka base, and instead uses the whey that remains after cheese curds have been separated from the milk. The whey is fermented into a beer, which is then distilled into the vodka you see above. There’s some filtering and blending going on as well, in a proprietary process, but the result is said to give “a sweet creamy taste with subtle hints of vanilla and cinnamon.” The libation is manufactured in the West Dorset countryside, in England, by one Jason Barber and his 250 grass-fed cows. A 24oz. bottle will set you back £29, or roughly $47.